Montville Dental Associates is a leading provider of professional teeth whitening for patients in Montville, NJ, thanks to their dedication to providing superior results. 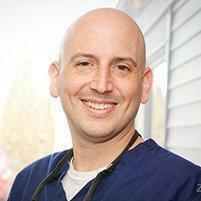 Dr. Matthew Spatzner is skilled in the latest teeth whitening techniques aimed at helping patients enjoy healthier-looking, more beautiful smiles. What makes teeth look yellow or dingy? Tooth discoloration can occur for lots of reasons, but the most common causes include the use of tobacco products including cigars, pipes, cigarettes, and chewing tobacco, and consuming foods and beverages that contain dark pigments, like coffee, tea, red wine, dark spices and berries, or products that contain food colorings. Eating foods that are high in acids can temporarily soften tooth enamel and make it easier for stains to penetrate. Poor oral hygiene can also contribute to superficial staining. These types of stains respond very well to professional teeth whitening treatments. Deep staining in the tooth interior may be caused by some diseases, damage to the tooth, root canals and long-term use of some medications. These deeper stains may require a veneer or crown to cover them. Yes, professional teeth whitening is very safe; millions of teeth whitening procedures are performed every year in the U.S. and satisfaction levels are very high. How does professional teeth whitening compare to over-the-counter teeth bleaching products? Professional teeth whitening is far more effective than over-the-counter products because professional whitening systems use stronger solutions and equipment designed to provide more consistent coverage and superior and longer-lasting results. Over-the-counter products tend to provide inferior coverage of the tooth surfaces, which means the whitening agents aren’t able to penetrate all tooth surfaces equally. Plus, professional in-office whitening can be completed much more quickly – in a single visit – so patients can enjoy their results faster. In-office whitening is typically performed immediately after a teeth cleaning appointment. A special mouthguard is used to hold the lips back from the teeth to prevent the special whitening solution from being washed or rubbed away. The solution our office uses is light-activated, and once the whitening agent has been applied, a light is focused on the tooth surfaces to activate the solution and help it penetrate deeply into the tooth surface. Treatment takes about an hour, and the solution will be reapplied during treatment to ensure optimal penetration. Results are visible immediately.